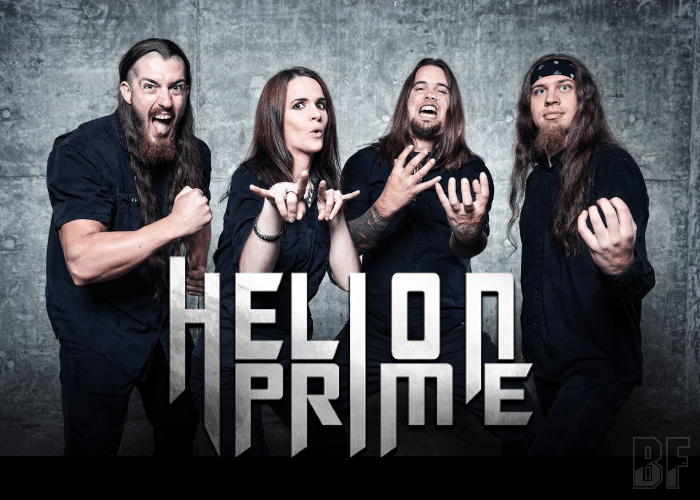 HELION PRIME is a Sacramento (California, USA) based female-fronted metal band, having a concept of showing Power Metal with themes based on actual scientific theories with the occasional sci-fi tribute. The name HELION PRIME was borrowed from an alien planet featured in the 2004 film "The Chronicles of Riddick". Originally the band was founded by Jason Ashcraft (Dire Peril) and Heather Michele (Graveshadow) and they had worked with such artists as Mark Briody (Jag Panzer), Brittney Slayes (Unleash the Archers), Andy LaRocque (King Diamond), Ralph Scheepers (Primal Fear), Arjen Anthony Lucassen (Ayreon, Star One), and Niklas Isfeldt (Dream Evil). The two recorded their first demo track in June of 2014, and with the help of members from Dire Peril and Axiom, HELION PRIME debuted their first live performance in August 2014 at the Boardwalk in Orangevale, CA. 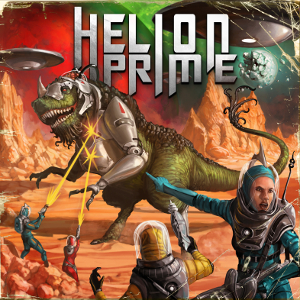 Also HELION PRIME has set out on their first tour, playing shows in Oregon, Nevada, California, and Utah in August of 2015. Their first EP “The Drake Equation” was released on February 26th, 2015 and the line-up was completed. On February 15th, 2016 the band released self-titled debut album, featuring special guest Niklas Isfeldt (Dream Evil) and signed a deal with Divebomb Records this month.